The Florida Gators might’ve just made some real noise in the SEC. Coach Dan Mullen’s awaited return to Starkville was marked by a vicious performance from his defense. 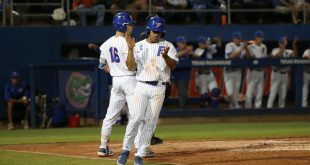 The Gators (4-1) toppled the Mississippi State Bulldogs 13-6 in a typical SEC slugfest on Saturday. The Gators recorded their third straight win by limiting sophomore quarterback Nick Fitzgerald to under 100 yards of offense through the air. Joe Moorhead’s team falls to 3-2. They host Auburn next weekend. After the final whistle, and his celebratory Gatorade bath, Mullen explained why he thinks his team is improving. 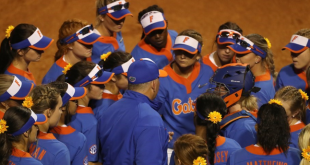 Early on, it looked like the extremely hostile road atmosphere would disrupt the Gators’ offense. More than 61,000 were in attendance with the ringing sound of cowbells fully emanating throughout Davis Wade Stadium. That forced a couple false start penalties from junior Jawaan Taylor and senior Fred Johnson. 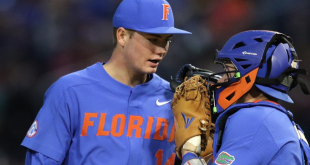 But the clap cadence Mullen has installed on the road helped ease Feleipe Franks and the Gators’ offense into this one. While the final stat line won’t shine for Franks, (22 for 31 for 219) it was arguably his best game of the season under center. The red shirt sophomore managed the line of scrimmage well. He made sure to take what the Bulldogs’ defense gave him– minus the one interception that was tipped. When Franks needed to escape the pocket, he continued to use his legs to buy his receivers time to get open. But that’s not to say the offensive line didn’t protect him. For most of the night, the Gators’ offensive line created holes for all three running backs and gave Franks ample time to survey the field. On defense, Todd Grantham’s unit was just as ferocious. The Gators sacked Fitzgerald six times on the night. Junior Jachai Polite led the way with two sacks, and his classmate Jabari Zuniga was just as disruptive up front. Defensive back Trey Dean III was harshly ejected in the first quarter for targeting after going for a ball that appeared to pop loose on a punt. A unit that was already short on defensive backs lost another one early. It was clear that Moorhead’s offense needed to run the ball effectively to be successful. An average of just 3.3 yards per rush, and only 202 yards of total offense just wasn’t acceptable. After 60 minutes of truly physical football, the Gators can leave this game feeling like they fully pleased their head coach. Meanwhile, Moorhead will have to tinker with an offense that’s currently enduring its longest touchdown drought since 2009. The Gators were the better team on Saturday, but a stroke of good fortune in the middle of the third quarter really flattened the Bulldogs. Sophomore receiver Osirus Mitchell broke free down the middle of the Gators’ defense only to drop a routine touchdown pass. Mississippi State’s offense never recovered from that. Mullen and his team seized that moment and grabbed the game by the scruff of the neck. On the next drive the Gators scored the only offensive touchdown of the game on a double-pass play. 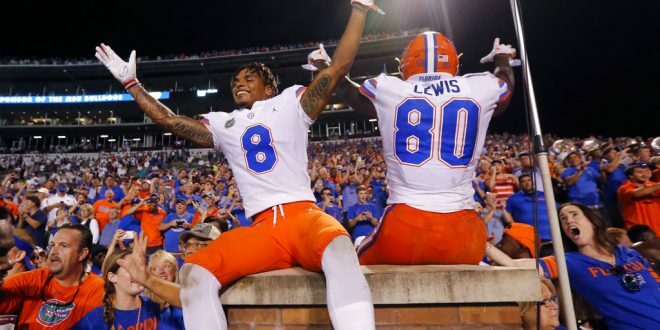 Kadarius Toney, a former high-school quarterback, slung a 20-yard pass to a wide open Moral Stephens to give the Gators a lead they would never relinquish. 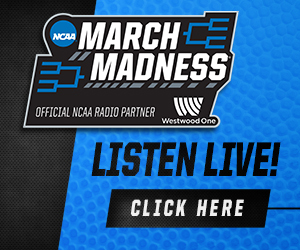 Toney spoke about the play after the game. Time after time, Mullen dialed up a wildcat look or ran a read option to move the chains. After Lamical Perine and Dameon Pierce helped establish the run, it opened up the perimeter for Franks and his receivers. Twelve different players caught a pass on the night. By continuing to spread the ball around, Franks has helped highlight the impressive depth of this Gators’ receiving group. On a night when Mullen was back in his old stomping grounds, he made sure his team executed his game plan with poise. 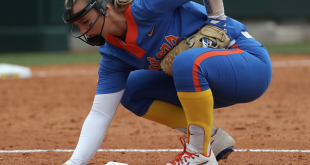 While it took some luck, some trickery and a whole lot of grit, the Gators will now look ahead to LSU with some real momentum.